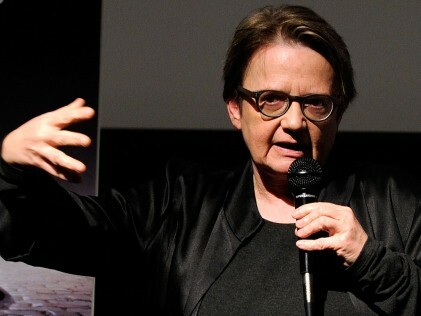 Agnieszka Holland, the great Polish director whose films include Europa Europa and The Secret Garden, discussed her masterful new film In Darkness at a special preview screening at the Museum. Inspired by real events, In Darkness tells the story of Leopold Socha, a Polish sewer worker and occasional grifter who kept a group of Jews hidden from the Nazis during the occupation of Lvov by hiding them deep in the sewage system. After a special screening co-presented by the Polish Cultural Institute, New York and Museum of the Moving Image, Holland talked about how she overcame her initial reluctance to make a film about the Holocaust, and about the grueling physical production, and about the remarkable real people who inspired the movie.